We adamantly believe that those facing the fallout of exposure to the dangerous substances Roundup has chosen to use in their products deserve justice, and as a national Monsanto Roundup lawsuit attorney group, we can help you do just that. Our dedicated staff is well-versed in all of the recent litigations surrounding Round-up, including a $289 million payout awarded to a San Francisco resident who was exposed to the product. In this case, the groundskeeper in question developed Non-Hodgkin’s Lymphoma and successfully argued that Monsanto did not do enough to warn consumers about the potential dangers their products may pose. To understand the full scope of this issue, it’s important to note how widely used the chemicals found within Roundup are in the modern agricultural industry. They are routinely sprayed on crops across the country and are also extensively used in gardens, orchards, nurseries, and even private residences. The products produced in these settings ultimately find their way into the homes of Americans all over the country. This is an issue that has the potential to affect us all. We have a storied legacy of pursuing justice for our clients guided by the foundational principle that all of us are entitled to a higher standard of safety when it comes to the products we utilize and consume on a daily basis. If you feel that you’ve been adversely affected as a direct result of exposure to Monsanto Roundup, please don’t hesitate to reach out to us to discuss your options. We’re always ready and willing to help. Have You or a Loved One Been Effected by Roundup? 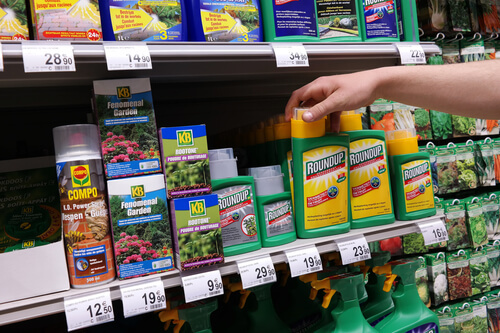 For years now, Roundup has been linked to numerous adverse health conditions, and recently, world organizations have been warning against repeated exposure to glyphosate, the chemical component found within the product. New allegations point to the possibility that Monsanto may have been aware of these and other potential health hazards associated with their product lineup as far back as the 1980s. The company was the first to synthesize glyphosate, ultimately going on to patent its use in their herbicide products. While these chemical solutions were predominantly marketed to farmers and other agriculture industry workers, many of them have been commonly used in a household setting as well. Over the last several years, the International Agency for Research on Cancer (IARC) has released several new studies regarding the potential carcinogenic properties of Monsanto’s Roundup, and according to the World Health Organization-affiliated group, those findings paint the products as being probable candidates for a link to Non-Hodgkin’s Lymphoma, as well as other cancerous diseases. Non-Hodgkin’s Lymphoma is a specific form of cancer that develops within the lymphatic system. Your lymphatic system is responsible for helping your body ward off other diseases, and Lymphoma usually involves one or several tumor-like growths in or around the lymph nodes. As recently as 2017, the California Office of Environmental Health Hazard Assessment announced that glyphosate will soon be added to their internal list of products known to cause cancer. While this would not incur an outright ban on sales of the Round-up in the state, it would be a clear warning to consumers about the potential dangers that they face when using it. Monsanto, for their part, are fighting this classification, stating that there is no basis for the warning and that it would negatively impact their financials. What Can a Monsanto Roundup Lawsuit Lawyer Do to Help Me? Our team of trained legal professionals is here to help you recoup the costs of your cancer treatment or other medical expenses related to your Roundup exposure. If you’ve developed any adverse medical conditions recently or in the past, we want to hear from you. Our goal is to provide you with all of the options at your disposal when it comes to litigation, and if necessary, execute a plan of action that will help you take control of the situation. Do keep in mind that this is a very complicated situation with lots of moving parts, so any potential litigation is likely to be a lengthy endeavor. That said, we’re committed to seeing you through to the end. This is an extremely widespread issue that potentially affects millions of people across the globe. Roundup has been used for decades in farms and homes, and the potential damage done has not yet been adequately measured. Even if you have not yet been diagnosed with Non-Hodgkin’s Lymphoma or another related disease, if you’ve repeatedly been exposed to Roundup or other glyphosate-based products, we’d highly recommend consulting with a healthcare professional to considering a full health workup to ensure that there are no underlying medical issues developing as a result of your exposure.